I had $10 worth of Macy’s money I needed to use before it expired. I knew I wanted to get a Holiday set from MAC. 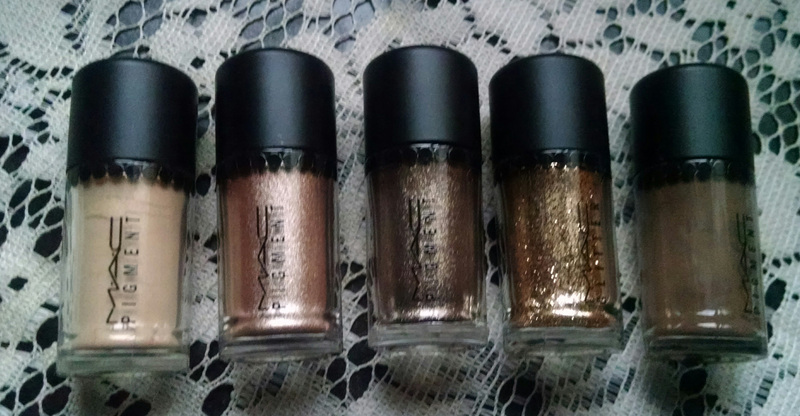 I’ve had my eye on the Objects of Affection Gold & Beige Pigments and Glitter. I picked this set because there is a matte brown pigment. 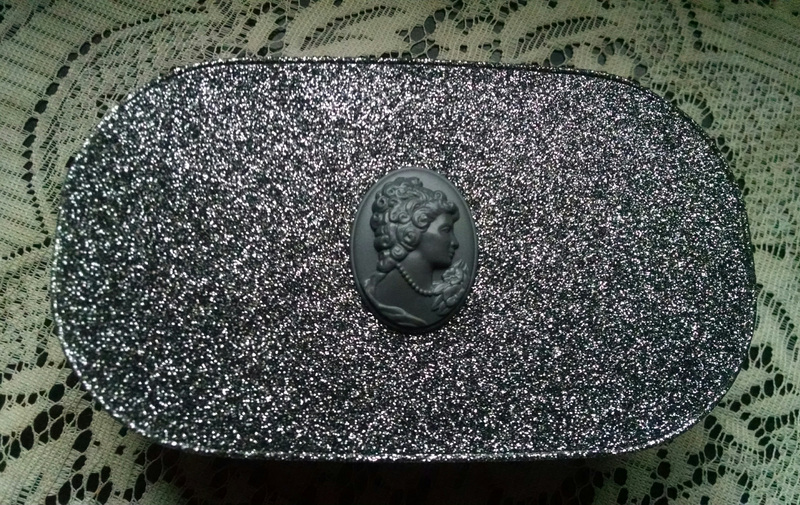 The majority of the pigments I own are shimmer. It’s so nice to add a matte shade to my collection. 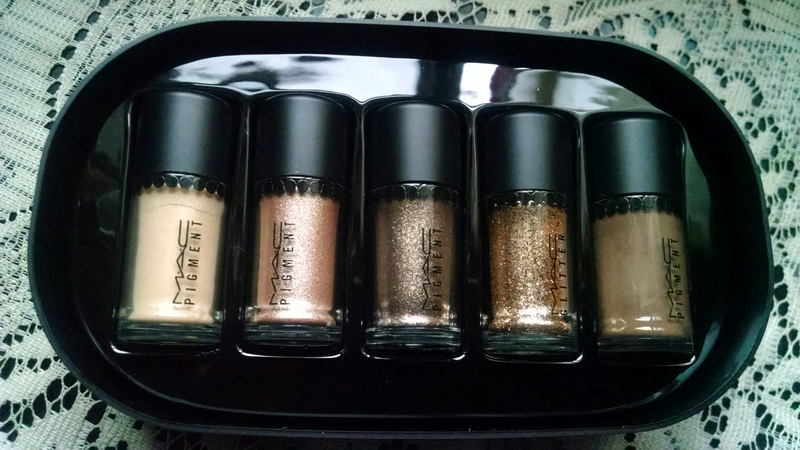 This entry was posted in Beauty and tagged beauty, MAC, Macy's Holiday set, makeup, Objects of Affection, pigments. Bookmark the permalink. Thank you! I was surprised when the Macy’s I went to still had this set. These look amazing! I’m jealous! 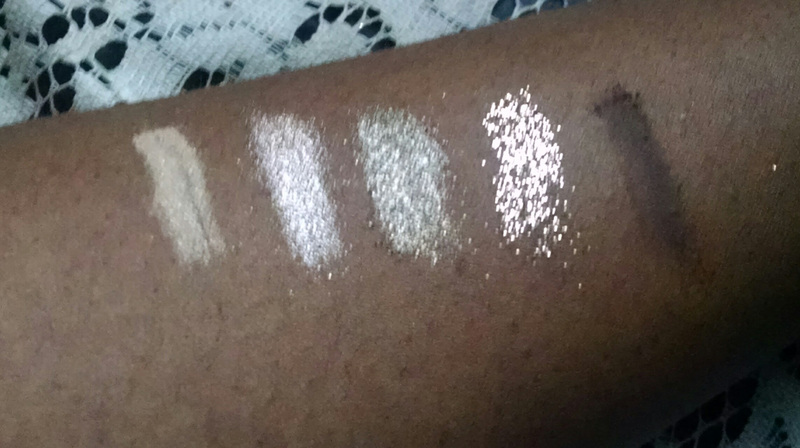 These pigments have great color payoff.